Champian Fulton on piano and vocals with Joe Bussey (bass) and Fukushi Tainaka (drums). No Cover, great food and drink specials! Private Concert by Invitation Only at the George Town Club in Washington DC. Champian Fulton appears for the New Brunswick Jazz Society. Champian Fulton Quartet at the fabulous new restaurant in South Orange! Read about the new venue here. Champian Fulton Quartet returns to Red Bank NJ! Champian Fulton Quartet returns to Red Bank NJ. Champian Fulton Trio with Stephen Keogh on drums and Arnie Somagyi on bass. Entre las vocalistas de la escena internacional destaca, por su frescura y elegancia, Champian Fulton, que ya se ha convertido en una referencia mundial de primer orden. Tres años después de su descubrimiento en el Jamboree, con un repertorio entonces dedicado a la gran Anita O'Day, Champian Fulton vuelve a la cava de la plaza Real, donde también sorprendió con su particular tributo a Dinah Washington. La cantante de Oklahoma cautiva al público de los mejores clubes de Nueva York y de muchas salas de todo el mundo. También en la prensa especializada: dos veces premio de la crítica de prestigiosa revista Downbeat. Fulton ha trabajado con genios de la categoría de Lou Donaldson, Frank Wess y Clark Terry. En el Jambore le acompañarán dos jazzmen talentosos procedentes de la escena británica: el contrabajista Arnie Somogyi y el baterista, y también viejo amigo de la cava de la plaza Real, Stephen Keogh. Champian Fulton Quartet featuring Nick Hempton (sax) with Andrew Dickeson (drums) and Ashley Turner (bass). Champian Fulton Quartet returns to Hilton Head SC! Visit their website to make your reservations; this event is SURE TO SELL OUT. Tune in to hear Champian play her favorite records and DJ! Make requests and ask questions via social media sites, or just listen! Featuring Hide Tanaka on bass, Fukushi Tainaka on drums and Stephen Fulton on flugelhorn. 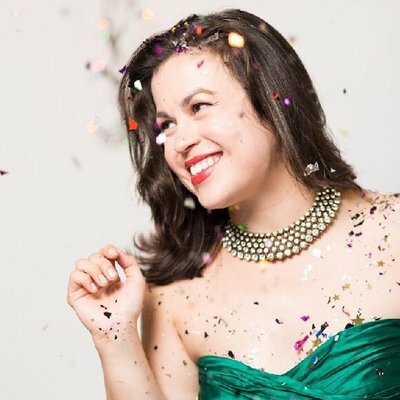 Awarded "Female Jazz Vocalist of the Year" by Hot House Jazz Magazine, pianist / singer Champian Fulton returns to the Birdland Theater to celebrate the holiday season with this intimate show featuring songs from her award winning album, "Christmas with Champian", in addition to fan favorites from her 10 other recordings. Champian first appeared on the Birdland stage fifteen years ago, and has since toured the world and performed with many Jazz legends including Lou Donaldson, Clark Terry, Buster Williams, Jimmy Cobb, Frank Wess, and Scott Hamilton. This year alone Champian has appeared in more than 10 countries performing as a leader in addition to appearing in a concert production of "Porgy and Bess" throughout Europe and a new revue of George Gershwin's music, "Here to Stay: Two Pianos, Two Voices", which opened at Birdland with two sold out shows this fall. A perfect balance of Christmas spirit and Jazz sensibility, "Christmas with Champian" is guaranteed to make your season bright. Sets at 7, 9, and 10:30 PM. Cover charge $12. Champian Fulton Trio featuring Hide Tanaka on bass and Fukushi Tainaka on drums.